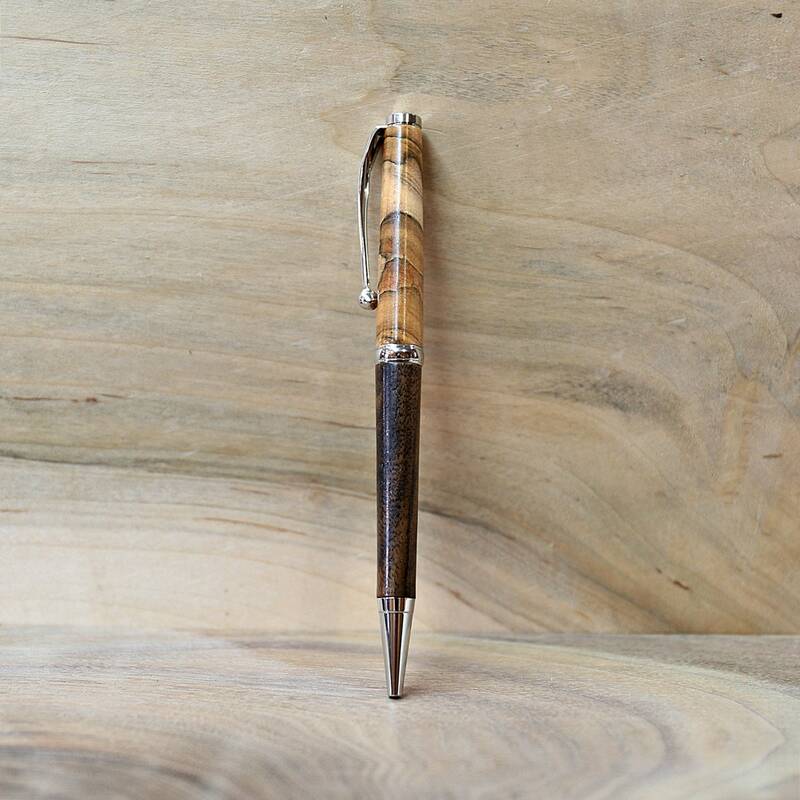 This wooden pen has been handcrafted from beautifully figured walnut and ambrosia maple woods. 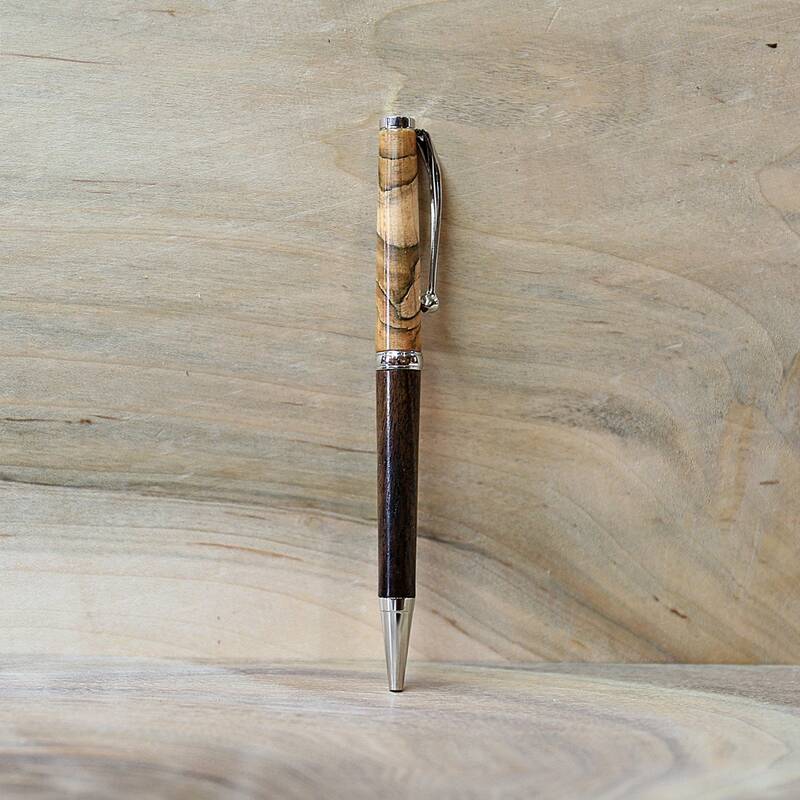 The colors are natural, with no dyes or stains used in the making of this pen. 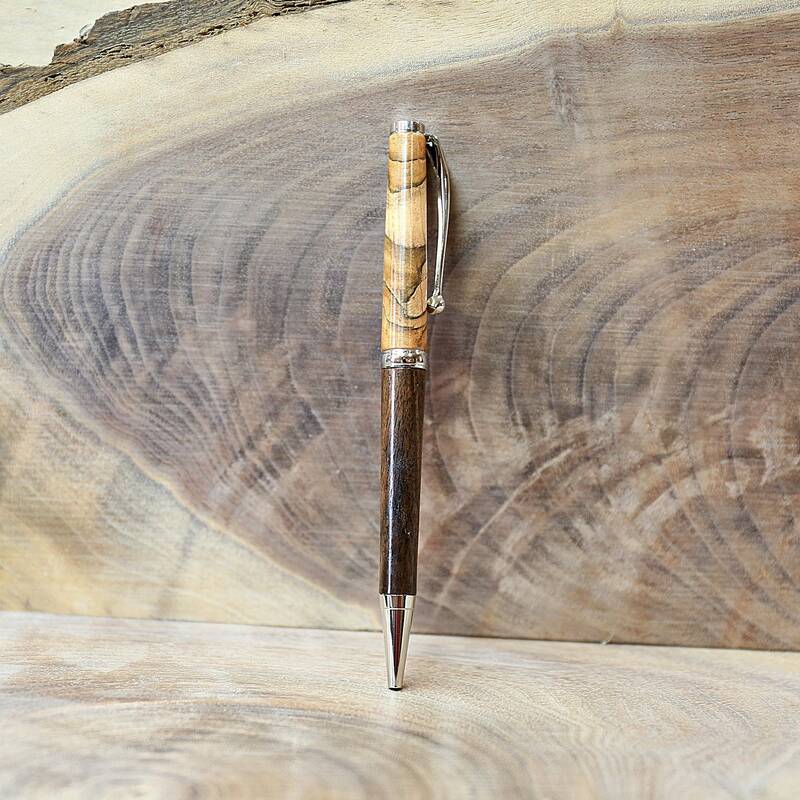 The wood used in the pen comes from sources here in Kentucky. I employ a couple of finishing techniques to achieve a perfect finish on the pen. All pens have a minimum of 3 coats of durable finish. The metal is Rhodium Plated Metal. It comes with black ink and the pen has a twist style mechanism to engage/retract the pen. The length of the pen is 5 1/4".